Episode #22 of Hindi TV Serial Bharat Ek Khojj explores the rise of the Chola Empire in south India. 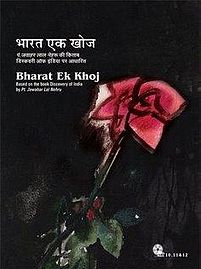 Those who are familiar with the background of this TV Serial, or those who are following our series of review articles for Bharat Ek Khoj TV Serial, are familiar with the fact that this TV Serial is a dramatized adaptation of an acclaimed book named – Discovery of India – penned by Late Pt. Jawaharlal Nehru, the first prime minister of Independent India. In his quest to explore the real Bharat (that is India), after exploring till the Bhakti period, the author goes on to explore the historical time of some of the remarkable empires founded in southern part of India. This episode explores the fact that when there are so many battles going on or political situations remain mysterious, the people like to explore other places to live their lives peacefully. Probably that is what inspired a remarkable number of fellows to move to the southern parts of India (from the north India). Though, it would be wrong to say that the situations are ideal in south India. The kings always keep fighting for expanding their kingdoms and proving their superiority over the others. The Pandyas and Chalukyas are not at peace and so does many other kingdoms. But, the situation was comparatively better. The absence of the rigid implementation of the birth-based caste system was an attraction for many people who felt neglected and sidelined in their own land. Also, there was a growing tradition of the kings ruling their kingdom by considering the superiority of the God. It made them remain in the line of the law. To acknowledge it, the rulers started showing enthusiasm in building temples. As the number of temples is increasing, more Brahmins were required, so the rituals can be done properly. And those Brahmins need to feed their families, so the rulers started giving them land and other resources. It ultimately leads to a scenario where farmers are not the only ones who own a piece of land. There were village councils (or Gram Sabha) which used to take care of farming and proper distribution of the corp and other stuff among people. The businessmen had their own counsel too. However, there was no specific status awarded to them. The reason was the fact that most of them were farmers. Some of them are selling their produces and others were dealing with rest of the material. To boost the economy by providing an encouraging environment to the businesses, Pallavas and Cholas have created their own navy. The main aim was to give protection to the ships sailing with the business material. Of course, the naval forces were used for expansion of the existing kingdoms and conquering new territories as well. The Cholas have tried expanding their boundaries in the north as well. Their journey was not easy in that area as they got defeated by Rashtrakutas. However, Raja Raja was able to successfully expand it as per his vision. It was the time when Turks were invading the northern boundaries of India. Raja Raja was not worried about it, as his main focus was to expand his kingdom toward the deep south. His son Rajendra was equally competent and inherited the same fighting nature from his father. After conquering it, he has expanded his kingdom by conquering Bengal and other areas in the north part. So we can safely say that after the Guptas, the Cholas were the biggest rulers (in terms of the land under their rule). It would be interesting to know that though Cholas belong to Tamil dynasty, they consider that they were Suryavanshis and their reference was found even in Mahabharata as well! This episode explores the early days of Raja Raja Chola. While he was enjoying the story of his ancestors being sung by a court poet, he was given a message that his uncle Uttama Chola met with his death. It was definitely a shocking news for Raja Raja as he met his uncle the very previous day! When Raja Raja was about to be announced as the new king and successor of Uttama Chola, there comes a prince claiming his right to the throne. The power and the throne are really interesting things. There comes the time when no blood is thicker than the water when it comes to fighting for the throne! How the things took a turn from there is better to explore in the episode. The episode is available on Youtube in many instances. I will suggest to buy a DVD set and watch it. Late Om Puri narrates the story in his own style. He also plays the role of Raja Raja Chola in this episode. He is definitely the most sought-after actor in this episode. In fact, Roshan Sheth is quite natural as Pt. Nehru. It is really mesmerizing to hear the song singing by a poet to Raja Raja Chola. The song was exploring the lineage of Sun Dynasty and was praising Chola. The words, the music and the voice of the singer make it really interesting. Also, it is worth to watch the irony of a ruler, who seems to do nothing with his uncle’s death. But, because he was not at good terms with his uncle, he was considered as a suspect by his own grandmother. The power brings in its perks and sorrows both together. The way Rajendra tries proving his innocence and the way his actions are misunderstood by his grandmother is nicely explored in this episode. Of course, the original content is well researched and nicely weaved, but the scriptwriters and the maker deserves the credit represent it in such a nice way. The dialogs are witty and yet uses day to day language, making it enjoyable for most of the viewers. This episode explores that how we try to find solace in a temple and the idea of the God. And how it can be used to guide the society towards something good. If you believe in God or not, is a different thing, but surely the idea of all the actions of any entity are observed by a supreme power, makes it accountable. And, thus many wrongdoings can be stopped. Here we see that the enthusiasm shown by Rajendra for his grandmother’s wish to build a temple smoothens their relationship. This episode also explores the politics played by various religious figures. Though they are considered detached from all the material stuff, they often found doing their own bit of politics. Of course, there are exceptions. The wardrobe and the makeup are worth a mention. Instead of showing visual splendor on screen sometimes makers show something unrealistic. And for historical and mythological stuff, it is not something new. The makers here kept themselves as near as possible to the realistic representation of that time. And we must appreciate them for their honest efforts. The DVD set comes in two versions, premium and economic. The quality of premium version is really good. However, if you watch on today’s HDTVs you will be a little disappointed when compared with what is being shot and VFXed these days. Definitely a worth watching episode, where script and convincing act by the principal actors are the real heroes. It is good to keep such nice TV serials in your personal library. You can revisit it at any time and you can show it to your future generations also. A lot of questions about the history can be answered by watching it.